Chocolate panna cotta with raspberry sauce is a delicious and easy dessert, that is really perfect for the summer season when there is a great choice of berries. 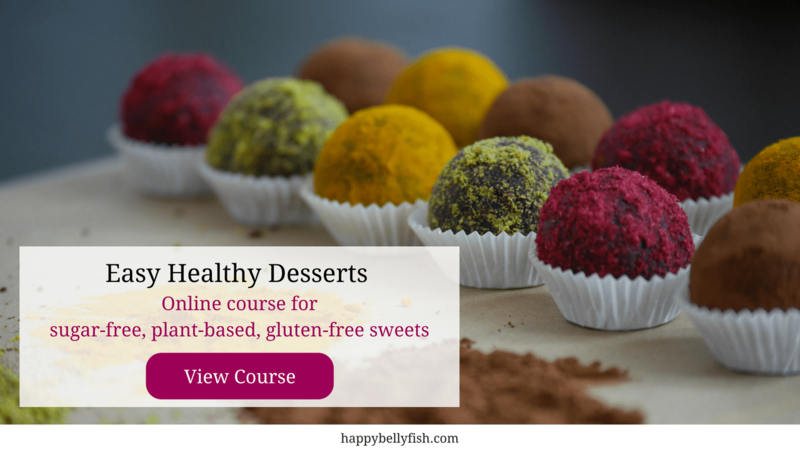 Our version is vegan, we don’t use gelatin and dairy milk, and it is also very easy and fast to prepare: it only takes 15 minutes to prepare and 30 minutes to set! silicon molds – GET HERE! Step 1. Start with adding milk into the sauce pan and heating it. Leave just a little bit of milk to mix with agar-agar later. Step 2. When the milk starts getting a little bit warm add the raw chocolate powder, mix until the chocolate is dissolved. Add the sweetener of your choice and the pieces of dark chocolate if you want, give a nice mix, wait till all the ingredients are melted. If you use pieces of chocolate keep in mind that it will take some time to melt. Open the vanilla bean and scrape the insides into your mixture. Step 3. Dissolve agar-agar in the coconut milk that you have left before. Mix it well, make sure that there are no chunks. Step 4. Add agar-agar to your chocolate mousse. You should add it very slowly and keep steering, so that no chunks are left. Step 5. Keep heating your mix, let it come to boil and continue to cook on a very law flame for about 2-3 minutes. Step 6. Remove your panna cotta from the stove and put it into silicon molds. Put them into the fridge for about one hour (usually it takes 30-40 minutes to set, but it will depend on the size of your panna cottas). Step 7. When the dessert is set, take it out of the fridge. Run a knife on the side of the mold to be sure that panna cotta will come out easily and flip it to a plate. Blend the raspberries into a puree and use the sauce to decorate your dessert – if you want, you can sweeten your raspberry sauce, but we love the mix of sourish flavours! 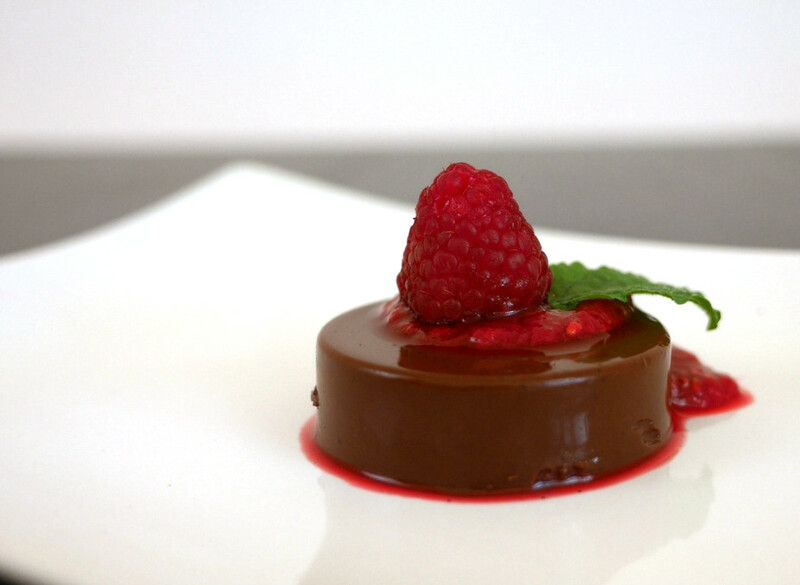 Your chocolate panna cotta with raspberry sauce is ready! Enjoy your healthy and delicious dessert! HI; thanks you for sharing. How many people does this recipe serves? What do you mean by Peruvian chocolate, Is there an specific brand for it? Waiting anxiously for your answers so I can try your recipe myself. Hi Jessa, it will depend on the size of your mold, generally it is enough for 4-6 people. Take a look at the end of the video, with my size of the mold it was enough for 5 people. Concerning the chocolate – no it is not a particular brand, it is just a chunk of pure unsweetened chocolate that I brought from Peru. Any good quality dark chocolate will do to give it a richer chocolate flavour. Hi: Thank you so much. I’ll give it a go.